Michigan quarterback Wilton Speight has decided to transfer to play his final year of collegiate eligibility at a different school. 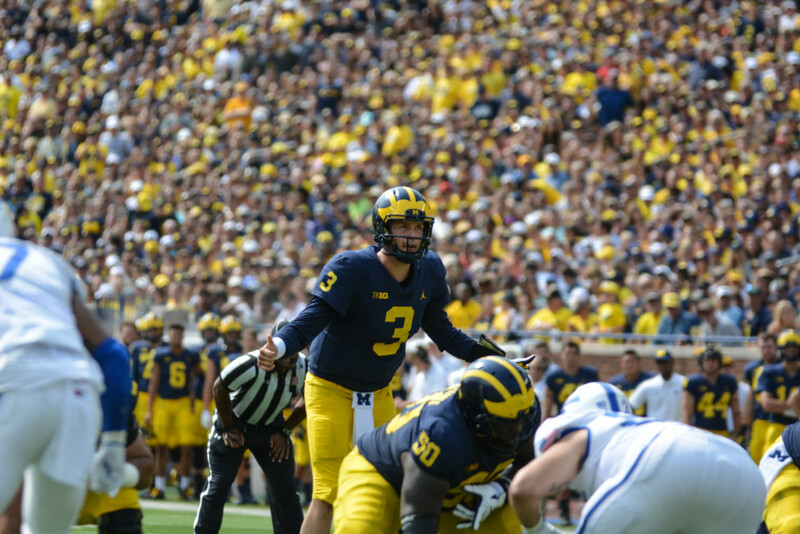 Speight was the starting quarterback for the Wolverines this season and last, though injuries to his shoulder and back have limited his time on the field. He announced his decision to move on from the University of Michigan in an Instagram post on Sunday evening. In the post, Speight thanked former coach Brady Hoke as well as current leader Jim Harbaugh. Speight also thanked Michigan fans in the post. Speight went 13-3 for the Wolverines as the starting quarterback over the last two seasons. He last appeared in a win over Purdue but left after injuring his back. With Speight’s departure and the graduation of John O’Korn, Michigan will start next season with a quarterback recruited by Harbaugh for the first time in his tenure.